Electronic Arts is aware that the future of gaming lies in digital content and wants to eventually move away from physical discs. In fact, EA CEO John Riccitiello is planning to completely convert the gaming giant. #1, intellectual property. We believe we are driving the strongest portfolio of IP in the industry with EA Sports, FIFA, Hasbro, Madden, Pogo, Battlefield, Need for Speed, The Sims, Tetris, Dragon Age, Mass Effect and more. We fully intend to make these properties into year-round businesses that lead their sectors across a range of platforms. #2, platform. Increasingly, we see ourselves as a software platform every bit as much as we see ourselves as a content maker for other companies platforms. We had a great start with 112 million consumers in our nucleus registration system, up from 61 million a year ago. And while we will continue to be a great partner to our best retail customers and our first-party partners, you will see the beginnings of a consumer game platform emerge at EA that complements and extends the console ecosystem and addresses the wider opportunity on other devices. #3, talent. To deliver on the 2 strategies above, IP and platform, we will expand on a model that is already working at EA, and only at EA. We are the only company with world-class teams working across platforms on social, mobile, and console development. We are integrating these teams and augmenting them with product monetization and marketing. It's a big change. As an investor, you can see this as a way to better manage our IP and drive up the ARPU for our core properties. As a developer, you can see this as the reason EA will be the most interesting and satisfying place to work in the game industry. The shift, when it occurs, will be a massive one. 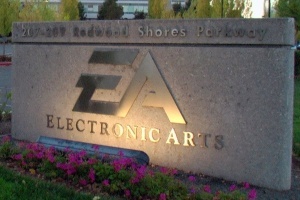 EA is one of the largest video game publishers in the world. Its revenue relies heavily upon packaged goods selling at various retail outlets. In recent years, EA has already increased its digital distribution efforts, offering everything from downloadable extras to complete games. We would argue that EA began to acknowledge the importance of distributing games digitally back in December 2008, when the company officially joined Steam. EA's digital revenue grew by 46 percent year over year to more than $800 million in its last fiscal year. For this fiscal year, the company is expecting that figure to exceed $1 billion. Just two months ago, the company dropped paper game manuals. The decision will extend to all EA titles worldwide and games will ship with on-disc manuals that are easily accessible from the main menu and pause screen. Gamers can also download digital pamphlets in multiple languages through a dedicated section on EA's support site, though only for certain titles. The company is still distributing discs, but the transformation won't happen overnight. Joining Steam and killing off game manuals are just stepping stones to help gamers adjust to getting less or no physical content when buying a game.